You are here: Home / 0L / Which Law School Offer Should You Accept? A Lower Ranked School with a Scholarship or Full Price at a Top School? 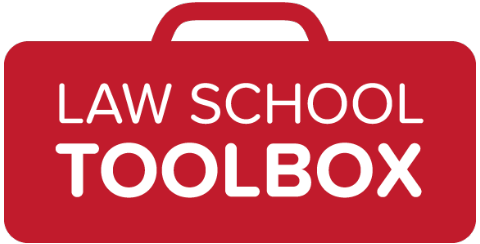 Which Law School Offer Should You Accept? A Lower Ranked School with a Scholarship or Full Price at a Top School? Today, we’re excited to welcome Ian E. Scott, who will attempt to answer this very important question. “I was in a similar situation as your friend — I could either attend a higher ranked school, or I could go to a second-tier law school on a full scholarship. I decided on the scholarship, and looking back, it was by far the best decision. Graduating in the top percentages of my class, with almost no law school debt, has opened up many more doors to me. I’ve found that recruiters, even at top firms, look first at my class rank and law review membership, and only secondarily at the school from which I graduated. While the quality of education is similar in a first and second tier school, there will be a significant difference in the opportunities you will be afforded and this could impact your income potential and choices. For some though, income potential may not be important and some may just want to become lawyers. 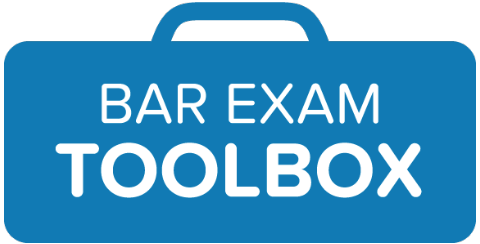 For example, when I started law school at Brooklyn Law School on a part-time basis, I did not intend to practice law full-time as I had a lucrative banking job. As such, I was not as interested in a top school. In fact, when I first applied to law school, I could have attended a part-time program in a school ranked much higher than Brooklyn but I selected Brooklyn as I liked Brooklyn’s public interest program. 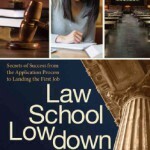 This summary is one of many law school admission helpful tips in the new book Law School Lowdown: Secrets of Success from the Application Process to Landing the First Job (Barron’s Publishing). Ian E. Scott is a Harvard Law School graduate, a lawyer, and the author of Law School Lowdown: Secrets of Success from the Application Process to Landing Your First Job, a comprehensive law school guide that contains important tips regarding law school admission and finding a job. Ian worked as a corporate litigator in the law firm Cleary Gottlieb and currently runs his own law firm Scott Legal Services, P.C. specializing in Immigration Law & New Business set-up. He is also author of the blog Law School Success Tips and has been published/featured by Forbes, the New York State Bar Association, Bloomberg, Barron’s, LexisNexis, Lawyerist, The Student Appeal Journal and other journals. 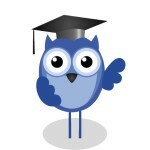 Struggling With Your Student Loan Debt? This is the big question. When I went to law school I did a cost/benefit analysis, how much debt would I incur in addition to how much money would I not earn while in law school. It was significant as I was already working and out of undergrad for ten years with additional opportunities. However, back then the cost of school wasn’t what it is today – total $60,000. I chose the school that was geographically desirable for me, not necessarily the lowest cost. Since I wanted to go into business for myself, debt was much more of an issue because it limited my possibilities for opening a business. Even so, from the time I took out my first student loan in undergrad (at age 17) until the time I paid off my last student loan from law school (and there was ten years in between completion of undergrad and the start of law school) it took me a whopping 34 years (that’s not a typo) to pay of $67,000 in total school debt. During that time I took hardship deferments and forebearances BUT I also made two HUGE single payments on the debt and it still took me 34 years to pay it off. Given my experience, I would recommend students go to the best college they can afford. Afford means they are able to comfortably carry the monthly debt service along with their other financial obligations for an extended period of time without being forced to compromise on living a normal life of wanting to get married, start a family, buy or rent a home and save for retirement. They should not be their future on the idea they will be in the minority of students who land a great associates job. That’s like betting you’ll be that 1 in 19,000 high school baseball player superstars who get signed to the majors. A significant number of people I know became lawyers and then had opportunities outside the legal profession. You don’t want to be hampered or foreclosed from making different decisions in your life because you have to feed the student debt monster each month for the next 30 years. Only a handful in the rarefied air of this profession will have the ability to pay off their student loans in a less stressed way than the majority of lawyers today do. All good points and great personal examples. A large amount of debt can certainly be a problem and everyone should keep in mind that they may not get the job of their dreams. (ie. a job that pays over $160,000 per year). Also, even if you do get this job, the cost of living in a city like NY would not leave much to pay off loans. This is a personal decision which requires a great deal of thought. Thanks for the comment. Susan: You have it so right. Everyone should think about your 1 in 19,000 high school baseball player analogy. That is really accurate. Too many people get burned assuming the big firm job is coming. I have a feeling I’m about to enter this exact situation and am still somewhat undecided. Based on my LSAT, GPA & residency status I think I have a great shot at my top choice top 25 law school. However, I don’t have plans to stay in this state and have been looking at lower tier schools in the state in which I would like to practice. I’m completely confident in my ability to get big scholarships from the two schools in that state, but am hesitant to take advantage. By going to a school in that state I would clearly make more connections in my future market, but, assuming I decided I no longer wanted to practice in that state, my top 25 in-state school will open a lot more doors across the country. Overall, assuming I am admitted, I will likely attend the top 25 school. Since I am an in-state resident, my debt would not be astronomically high and I feel more comfortable with that investment. I suppose only time will tell. The key is weighing the options which you are doing. I think the analysis changes somewhat when you are not looking at a top 10 school but it would be interesting to get the perspective of others. For me, if it is the difference between number 25 and number 55 (and 55 is full-ride), I think I would take number 55. Would be great to hear what others think of this. There are so many unique variables for each student. Lauren, you don’t share why you think you are going to be living in another state. If it is definite then you need to understand how lawyers are hired in that state. You should talk to the law firms you have interest in there and see if they ‘only’ hire local law school grads? Is it clique culturally unaccepting of outside law grads? What do firms in that state pay relative to the debt you’ll incur attending in your home state? Where are grads who didn’t stay in state working and does the in law school or post-graduation experience factor offset the lower tier image/status you’re fearful of? You can do a lot of research today. Again, go the best law school you can afford to go to and which addresses as many variables as possible. I would choose the less debt option. I would choose that option because I want to go into a public service job and I know that I will not be making a huge amount of money so it would be wiser to incur as least amount of debt as possible. Certainly if you have a particular role in mind or a background in an area, the analysis could change. I will say though that even public service jobs are very competitive. A position at ACLU requires work at a law firm before applying and work at a top law firm is helpful. Also, it would be easier to get a job at most not for profits if you went to a top school. This of course is just a general statement. I have a friend that went to a fourth tier school (Cooley) but he was in his late 30s and had a public interest job that he could go back to after school. Ian, what would you recommend for a future criminal prosecution lawyer? I know this field is not as lucrative as a top law firm position, but is it even nearly as competitive? Also, while a higher ranking does open up more doors, if the rankings of the two schools you are weighing are so close and you aren’t vying for a ultra-prestigious position, would it make sense to just check out the schools in person and find out which one is more suited to your learning style and intended area of law? Hello Chelsea, My thought is that the great public sector jobs are also very competitive but perhaps not as much as large top law firms. A top law school will always make you more competitive but certainly a top school is not needed for many jobs. Someone I went to law school with works at prosecutor’s office in New York and she was the only (or one of the only) entering lawyer from Harvard that started that year. (but even with that I think that getting a position was still competitive) Some other jobs also (eg. Bronx Defenders) are extremely competitive so again a top school could help. Your question raises an important point. My article is really getting at a top 5 or perhaps up to 10 vs. another lower ranked school. (say 30, 40, or 60). If you are deciding between a school ranked 25 or 20 OR 50 and 60 it is not going to make any difference. As a general comment the higher the better but if the schools are close in rank, I would say pick the school you connect with more. One other note, there is a chapter in my book where I deal with “Are Law School Rankings Important” where I expand on these points. If you get a chance take a look. It all seems incredibly competitive, regardless of what sector one goes into. And I would like to think that I’m the exception, but doesn’t everyone? That being said, I’m confident I can get into my local tier-1 school however it will be extremely difficult to practice outside of that state. Personally, I don’t want to live forever in the same state I grew up in. I’ve been told by some family lawyers that after I’ve practiced for a few years where I went to law school won’t matter compared to what I do in those few years. But it’s also been a very long time since they were fresh out of law school and jumping in with the sharks. So my question: will it always matter where I go to law school? Or are my friends correct, after a few years what mostly matters is the connections I’ve forged and the achievements I’ve made? The way I see it, law school is only a few years and the repercussions or benefits of my choice will only last a few years whereas a major amount of debt will follow me all my life. I fully agree that the school you go to will matter less and less if the school is a lower ranked school but If it is a top school it will help you forever. I see a school choice as one factor in a person’s future and one particular thing is not going to determine a future one way or another. That being said, the more you can stack the deck the easier it will be to take advantage of opportunity. While school is important many other factors will impact what you can do. I know an HLS student who sat for the bar several times and did not pass..his job prospects in a law field are poor. Also, at Cleary, there as a person I met from a 4th tier law school and I do not think her school choice will follow her that far as she can now point to working at a top firm. I do think though that generally higher ranked school affords one more opportunities and it is tough to determine or quantify the number of years that a lower ranked school will impact you. On the other side though, a very high ranked school will follow you for life. Perhaps an example to illustrate that I go over in my book..when I started at Brooklyn law school, I started the OCI process there and even though I had top grades (top 5%) I did not get an interview at Cleary. The OCI process was going on right around the time I was accepted to Harvard and I went there to finish the OCI process. There, I was granted the interview at Cleary and hired. Also, I do not think that a publisher would have picked up my book if I stayed at Brooklyn as Harvard was a key selling point. Finally, working at Cleary helps me even now with getting clients at my own firm. Now if I stayed at Brooklyn, I am sure I would have found a job but it would have been more difficult and not at a top firm. Also, if I attempted to figure out how many years it would take for it not to “matter”..not sure I can answer that. I see the point that as time passes the school is going to mean less and less but I still think that if you can get accepted at a top school (I mean top 5 or 10 and not just a higher ranked school) the debt is worth it. I found your comments on spot. Of course, the choice between scholarships to a lower tier school and a top tier school needs to include the scholarship “shell game” some schools are known to play. The NY Times did an excellent story on many mid-tier schools offering scholarships that would only remain in effect if certain GPAs were achieved and/or maintained. I went back to school late and part-time and was not worried so much about a job like so many of my classmates. I heard there were students who had scholarships revoked based on 1L GPA etc. and some had turned down law schools that were significantly higher ranked than our school. Prospective students that decide to accept scholarships should do their homework! This article makes lot of sense to one, who is about to go into law school. My situation is totally different. I am nit from USA. I am from India, Asia. I got 175 in LSAT & I have 4.0 GPA. And I am 22. I belong to a middle class family of my country. But I can not afford a trip to USA. I want to be a good lawyer. And it is my dream to be an excellent attorney. But the issue is, I am not able to decide and none is here to guide me. Because I do not belong to USA so I have to pay several taxes, and I wont get that amount of benefits from scholarship. And right now I only can afford a single trip to USA. Should I try to get into Harvard Law for JD and take 2,00,000$ loan or should I get into any low tier college with low amount of debt? And I would like to work in a big law firm instead of going public or opening my own law firm. One more question. Which one is good to secure a good future or one can get more preference in law firms – JD then job then LLM or JD + LLM joint program. I know this is an old post, but I thought I’d give it a shot and ask some questions. Northwestern: It’s a T14 school–that speaks for itself. I have been told countless times that rank within class at a T14 school doesn’t matter much, as OCIs still roll in at decent numbers. I would be given no scholarship, so that’s a good 160,000 or more in debt. The payoff will likely be decent, but if I’m not headed for a major firm in Chicago, and would rather work for a research and regulatory institution like the IRB or FDA, will the paycheck offset the cost? Case Western: I’ve been awarded the title of Gerber Law-Medicine Fellow and will be given a full-ride. This is a T2 school (though, it was T1 a year ago and just got a huge donation for a new IP clinic, so it will likely be T1 when I graduate), but it is 9th in the country in Health Law (I absolutely love this subfield, and I won’t change my path, so I am comfortable making a decision based on this if it matters). I will likely graduate near the top of my class, will be given first looks by many local employers (you can’t go wrong with a look from Cleveland Clinic) and will be immediately given an RA position and a spot on Law Review. Where do I go? Suggestions? Do firms only care about my school’s rank regardless of the program rank? Do hospitals and other employers care about overall rank more than program rank? Is the debt worth it if I’m not taking aim for firm work? SO many questions. Thank you in advance for any help you can offer! In a situation like this, I think taking the money is totally reasonable! Even though I’m three years late. This is a very good article. Mostly in part as a career changer. Law has always been apart of me and it comes naturally. Even though I can obtain good paying jobs I find myself not interested at all. After being in school for so long I’ll be entering the law school with close to $100,000.00 of debt due to previous schooling. My question has always been whether to take some time to pay off the debt first. But, after reading this I’m beginning to realize that if I can get into a big name school, and obtain a better paying job in a field I love; the debt may not be so bad. My goal is to try and not work at all. This profession is close to my heart. Very late as well, but I’m in exactly the same boat. For me, the decision is between Boston College and Northeastern University. BC is ranked significantly higher than Northeastern is, but it’s also far from being a top 10 or T14 school. Northeastern, on the other hand, is unfortunately ranked rather low, but them offering a full ride is still really tempting. Unlike many law students, I have little to no desire to work in a big law firm – working in a small to small/medium sized firm would be I think what I would want the most. Thus I see it as BC being worth it only if I get biglaw job, which is not only far from being a guarantee, but also something I don’t really want, and something that I hope to be very temporary, but at the same time, I do want have a somewhat decent salary, and don’t really want to work in public interest. I want to stay in Boston for my career, and although BC has a much better command, Northeastern is still decent for the region. Still, the employment stats suggest BC grads have a much easier time finding full time jobs, biglaw or not. Even if employment stats seem to be on the rise, I just wonder if I would struggle to find ANY job out of Northeastern? Probably not, but who knows? (but I suppose the same could be said for BC). let me know what you think! Any suggestions would be really helpful! This is a tough one! I’d probably take the money, but I’d do a good amount of research about good, bad, and average outcomes from Northeastern. Look at bar passage rate, and really examine the job stats. Not paying for school is tempting, but just be sure you’re not going to be in real job trouble if you end up at the median (or below). Thank you for your help! I consider myself very debt averse, so I am (slightly) leaning that way as well, but I definitely need to think it over some more. Fortunately, Northeastern is not a third or fourth tier school, so while employment prospects are not as nice as BC’s, they are at least decent. One thing i was possibly considering was attending Northeastern for free and then earning an LLM, but I wonder if that would be worth it. Would you have any suggestions about that? Thank you again! I really appreciate the help!